We will first import these files into SAS. 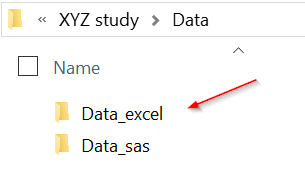 If you unzip the XYZ Study zip folder exactly in the 'myfolders' folder, you do not have to change the root directory path. 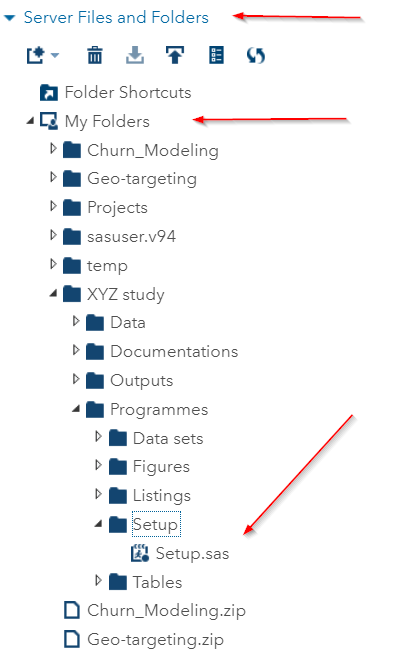 However, if you place the unzipped folder in another location, or if you're using another version of SAS such as SAS 9.4 or SAS EG, you will have to change the location to where your unzipped folder (i.e. 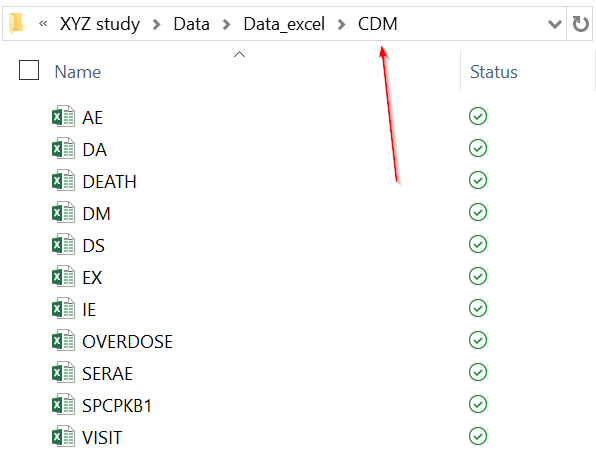 XYZ study folder) is located. 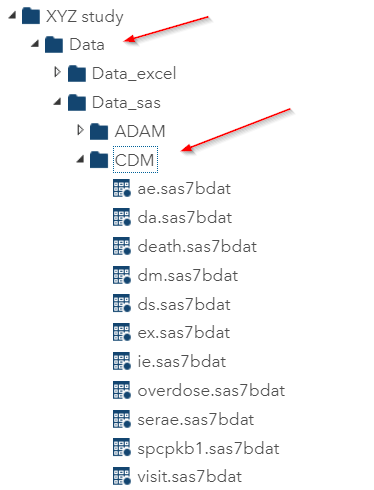 Once we have the CDM data sets in the system, we can then proceed to create the SDTM, ADaM data sets as well as the statistical tables, listings and figures.